The Kubota RTV 500, RTV 900, RTV 1100 and RTV 1140 are truly the workhorse UTVs of the side by side industry. The Kubota RTV series vehicles have been renowned for their ability around the farm and on the hunt. 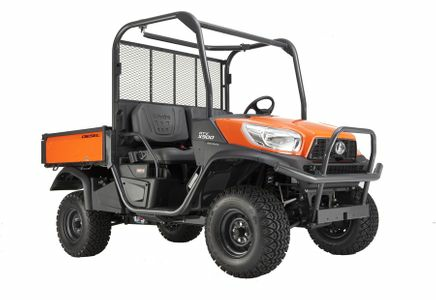 With the addition of the Kubota RTV X series the RTV has secured its place in garages and barns for years to come. Here at Side By Side Sports we offer a full line of Kubota RTV parts and accessories. If you need a cab enclosure to keep you warm in winter or a Windshield to keep the wind and mud out of your face we have you covered here at Side By Side Sports. We also carry roofs, winches, mirrors and gun racks for your Kubota. If you have any questions about any of our Kubota RTV parts and accessories give as a call and we would be happy to help.